AR Demolition are committed to provide a complete solution to our clients. We are able to draw on the knowledge of our highly experienced team, to offer remediation and related services. We can provide a range of services to include bio-remediation, soil stabilization, hazardous substances removal, surrender of landfill licenses and the treatment of Japanese Knotweed. Where contaminated materials contaminated materials are discovered on site, we will provide our clients with the best possible solutions to resolve any problems encountered. Our aim is to provide our clients with the most cost-effective solution for making their development suitable for use. 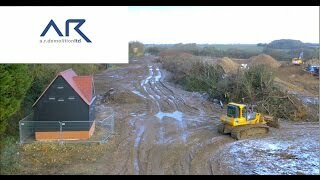 Please take a look at our recent remediation project at Brackley Sawmills by clicking HERE.